This workshop is designed to help those who may be new to your role understand the fundamentals of compliance and risk functions and take away skills that can be immediately applied to the work place or who are finding your responsibilities in these areas are growing. It is also for HR/learning development professionals looking for an induction program for new staff or for any other professional looking to understand what the profession is about. Compliance is part of your role but you are uncertain about what "Compliance" actually is? 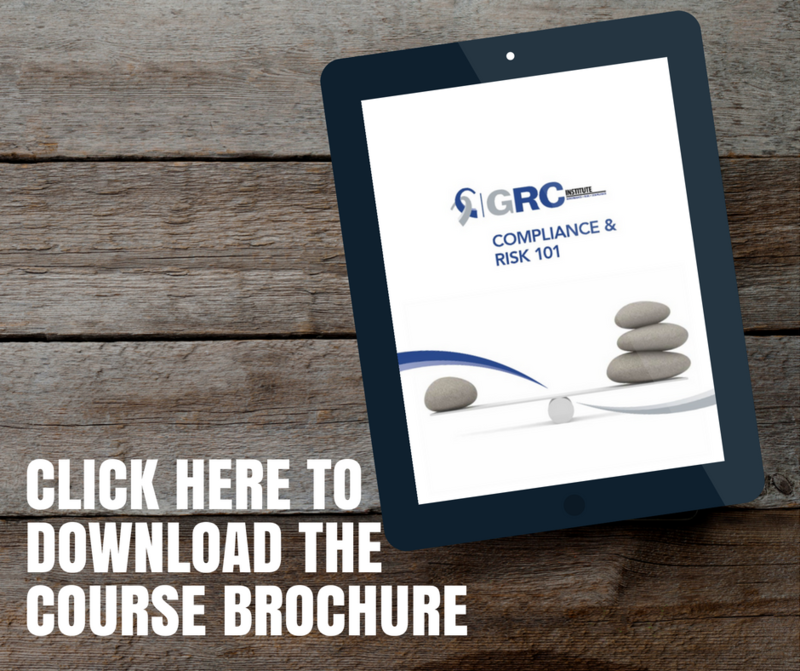 Are you unsure of the responsibilities of your role and how compliance and risk fits within your organisation? Do you want to find out about the Australian and New Zealand Standard for Compliance (ISO 19600) and how to best use it? Do you want to find out what the new International Standard for Risk Management (ISO31000) is and how to best use it? Do you want to know how risk management works within your organisation? Do you want to find out more about corporate governance in organisations? Do you work closely with risk management or have risk management as part of your role but are uncertain about some of the terminology used? For a list of other dates and locations, visit the events page. Please note courses run outside of Australia do not incur GST. Places are strictly limited so register today to secure your spot! If you are registering as a guest with GRCI for the first time full contact details, including email address, position title, phone number, etc, are required.